Claus and Lavie are childhood friends who fly their fathers’ vanship (think mini-airplane). They lost their parents when they were both just little kids and have had nothing but each other for years. They are message couriers flying around the country delivering letters so they can pay to keep their little house and their vanship flying. Flying is the only thing they love. They pretty much ignore the war between their country, Anatore and the neighboring country Dusis. They just want to fly. The war is controlled by a small group of powerful people called the Guild. The Guild supplies the engines that power the larger ships and allow them to fly, and through flying to do battle with each other. Clause and Lavie may not have much, but they are happy because they get to fly together. Their life is simple. Until they get an expected job delivering a little girl named Alvis. 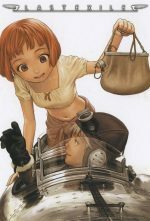 Things start to go downhill for all three of them as they quickly discover that the Guild is after Alvis and will stop at nothing to get her. Clause can’t stand to just dump Alvis off and leave her so he and Lavie take it on themselves to make sure Alvis is safe, even after reaching their destination. Only the captain of the Sylvana (where Alvis was to be delivered) seems to know why the Guild is after Alvis, and that reason seems to be that Alvis is the only one who can save the world from the Guild. 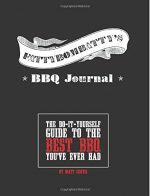 This was an exciting story with some really neat thought put into the design of the various ships flying through the air. There is a second season with all new characters but I have not yet started watching it so I can’t say much about it. There was a good story behind the animation instead of throwing a bunch of half-naked girls on screen to cover for the lack of story. Season 2 was different. It really was less a season two and more a spin-off. I’m not finished watching it but I’ve gotten most of the way through. The story is pretty good but not as good as Season 1. The first half of the season was spent trying to figure out what was going on. Some parts of the story seemed to indicate they were back on Earth (assumed to be Earth) and other parts indicated that they were still on the other planet that Season 1 took place on. To be honest I’m still not sure where they are. The Vanships you grew to love in Season 1 are pretty much gone. There are all kinds of different Vanships but they are all these tiny little things that make no sense. Season 1 was filled with ships that needed the Guild to power them so they could fly. Season 2 is filled with ships that are powered by themselves. The story up to now seems to pretty much be about one of the countries trying to service as a government in exile. If you haven’t been able to tell already while Season 2 was decent it hasn’t left any lasting memories. As for content, Season 1 was very clean. Season 2 was a different story. The very first scene was the main star pulling off most of her clothes and falling out of a plane. It has nothing to do with the rest of the show. She is sleepwalking and they comment about how this happens all the time and I’ve yet to see it happen again. So basically they put it in to get a rating. It’s worth skipping. The opening sequence is also very inappropriate and worth skipping. Again I got the feeling that the only reason sequence was made that way was for the rating. If you skip these two pieces you should enjoy the show. Summary: Solid story with great animation. Thoroughly enjoyed watching and have already watched again. Content: Very clean in Season 1. Dirty opening sequence in Season 2 but otherwise seems clean. This was a great show. 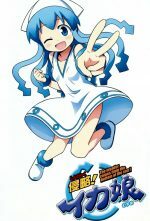 The story revolves around “Squid Girl” who is from the sea. The “sea” is upset at humanity for polluting it and destroying the sanctity of the sea. Umm yea okay, whatever. It’s kind of a strange premise but doesn’t really matter. It doesn’t matter past the first few minutes. So anyway the sea sends Squid Girl (Ika-chan) to overthrow humanity and control the surface world so that the sea can remain clean. So skipping the premise and moving on to the actual story… Ika-chan is a complete failure at her mission. Yea I know, big surprise. She starts trying to take over the Lemon, which is a kind of diner on the beach run by the sisters Chizuru and Eiko, along with their little brother, Takeru, who helps out from time to time. Not able to take over the Lemon right away Ika realizes that her plan to take over the surface would could take awhile – and she will need a place to stay! The rest of the story follows Ika as she tries (and fails) to take over small parts of the surface world. Many of her adventures are outrageous as she slowly learns what it is to be human. Over time she even seems to begin to understand humans and realize that not all humans are bad. The show is filled with lots of humor, lots of friends and lots of crazy antics by Ika-chan. Summary: Lots of comedic adventures as we follow Ika’s attempt to take over the surface world! Content: Completely clean, I don’t recall anything in the entire show. 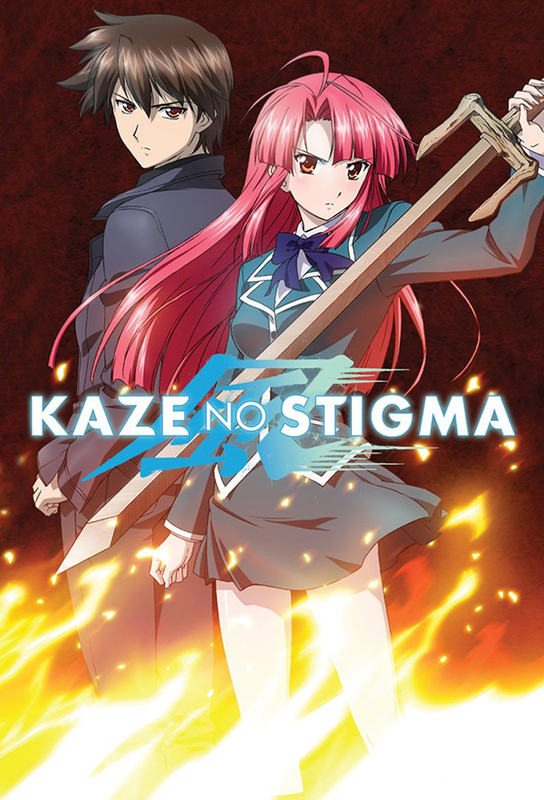 Kazuma is from the Kannagi family – a family of fire users. He’s the one person in the whole family that can’t use fire. As a child one of his distant relatives, Ayano, beat him in a dual because of his inability to use fire and his father banished him from the family – never to be allowed to return because of the disgrace. While out surviving on his own he forms a contract with the wind spirit to become a wind user. Because his power to control wind comes from the spirit itself his power is beyond that of other users. Returning home he finds his family still refuses to let him be a part of the family, and that is just fine by him as he doesn’t want anything to do with his family either. His relative Ayano has become the one who will inherit the families sword, Enraiha. Unfortunately she isn’t yet up to the task and needs help. And that help seems to keep coming from Kazuma, whom Ayano finds to be one of the most annoying jerks she has ever met. That coupled with the fact the family considers him a traitor makes for some tense situations. Those tense situations become even more fired up when Ayano begins to have feelings for the fire-wielding Kazuma. Kazuma just wants the money that comes along with helping Ayano perform the tasks set before her that come with wielding Enraiha. Time and time-again Kazuma ends up coming to her rescue and helping her out just enough to keep her from losing. The situation gets complicated when members of the Kannagi family start mysteriously dying – and the evidence points to a wind user. Can Ayano overcome her mixed feelings for Kazuma and trust in him or will she draw her sword against her new friend? Summary: A show with an interesting use of the elements, good story with a decent amount of comedic relief to break it up. Content: Mostly clean. If I recall there are some underwear shots as Ayano is jumping around wielding her sword but I don’t recall anything extreme.